For years, fans have been hoping to have a theaterical film featuring the "merc with the mouth", but the studios were not having any of it, because an "R" rated super-hero film would be a major financial risk, and Deadpool is certainly a character you can not do a disservice by making PG-13. He is the only character that can brutally chop off someone's head and make you laugh while doing so. 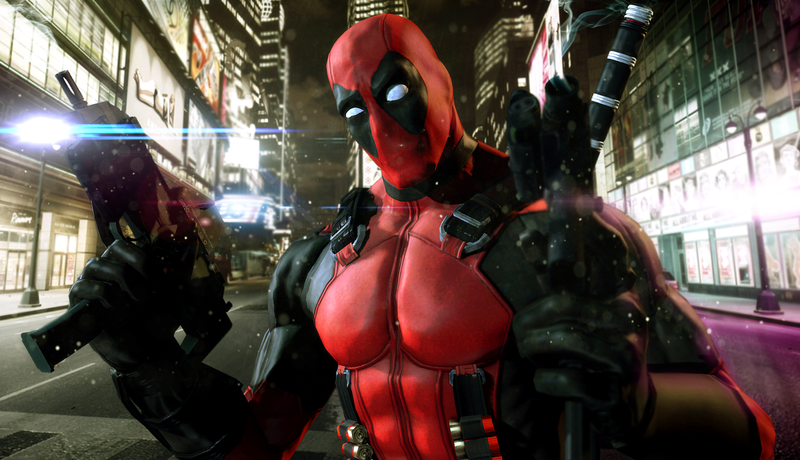 It was rumored that a Deadpool film was in development a few years ago, but only in the early stages. Thankfully, a bit of test footage was shown at San Diego Comic Con, and boy, is it everything a Deadpool fan could ever dream of. Ryan Reynolds takes on the role and is just as snarky and sarcastic as ever, proving that although he has been in some poorly reviewed super-hero films such as Green Lantern, and X-Men: Origins, he is not the cause. In fact, coming from a poor representation of Deadpool in X-Men: Origins with the character being completely mute-which is akin to having Superman be unable to fly, this is the Deadpool people wanted to see from the beginning, and there few actors who could pull off the character as well as Reynolds. Because talk has been relatively nonexistent for this film, is unknown how far the production on the film is, or if it is even still in production, however, based on internet reaction, it would not be surprising to see a full-fledged trailer coming in a year or two. UPDATE: Multiple sources have reported that this footage is not actually from SDCC, but from unknown whereabouts, with the rumor stating that is all a planned "leak" to gauge audience reaction. This footage seems more like deleted or maybe not deleted scenes from the video game that released a year or so ago. A movie test footage I think would have shots of a real costume, and not be so polished. Even the logo at the end looks identical to the video game one.